Poppi has a simple carry-on policy: no luggage. In the cabin, traditional overhead bins are replaced with “fedora bins,” which have just enough room for personal items, like laptop bags and jackets. 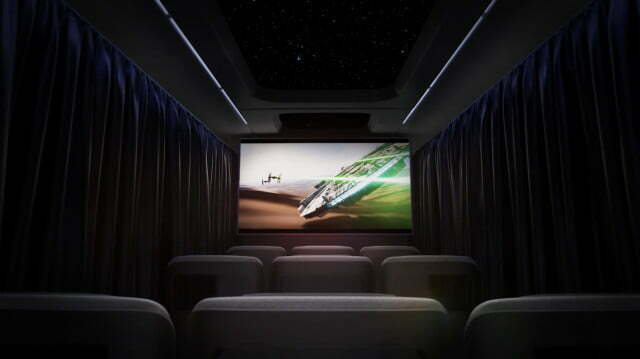 Plus, it creates an open feeling throughout the cabin. The policy solves a few problems. Since nearly all airlines charge a baggage fee, many passengers have been carrying them on instead. This slows down the boarding process, and, if overhead compartments are full and the airline has to check them for free, it angers those who paid. Smaller bins even the playing field, and it helps with on-time departures and quicker de-boarding of planes. 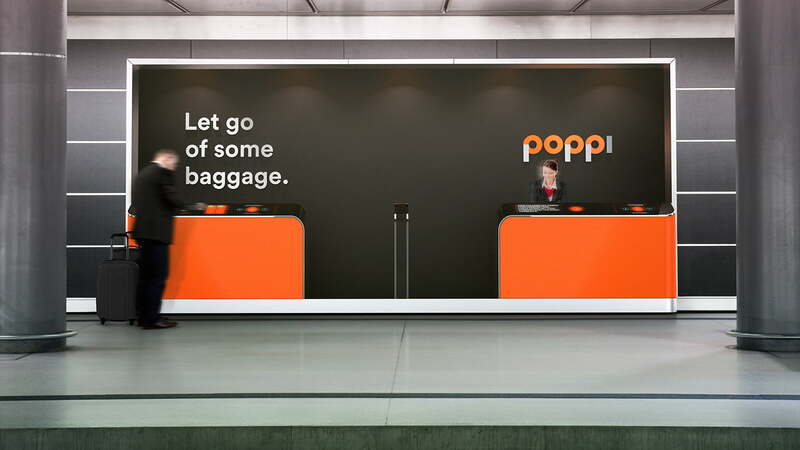 If everyone is required to check his or her luggage, Poppi needs to ensure bags end up in passengers’ hands upon arrival. Poppi uses RFID tags to track where bags are at all times, and Poppi’s mobile app notifies you when it’s ready for pick-up. 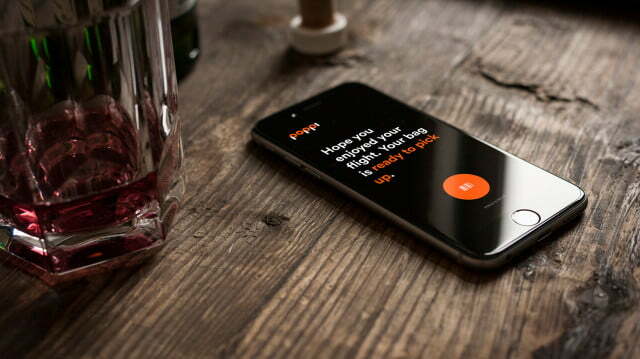 “A lot of the tech within Poppi is not futuristic at all,” Liddell says. “The fact that RFID and NFC bag tags are not more widespread is a bit crazy considering that the technology is entirely available. Qantas has had an awesome reusable RFID bag tags (created by Apple design consultant, the renowned Marc Newson) in service since 2010. And yet, airlines continue to spend literally millions of dollars a year on thermal paper. As if flying coach isn’t already grueling, getting stuck in a middle seat is like grinding salt in the wound. Poppi’s middle seats are actually valuable: Partnering with prized brands, passengers in these seats get something extra. 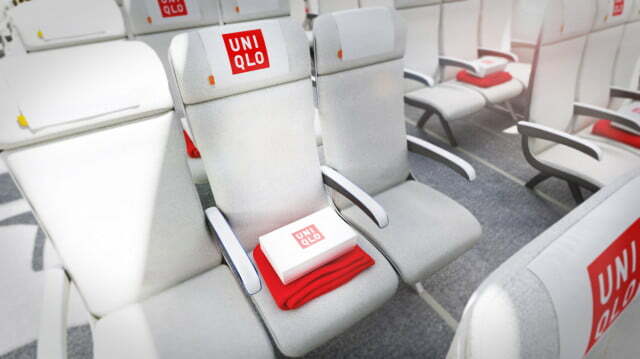 Passengers won’t only want to book these seats, they may even pay more for them. 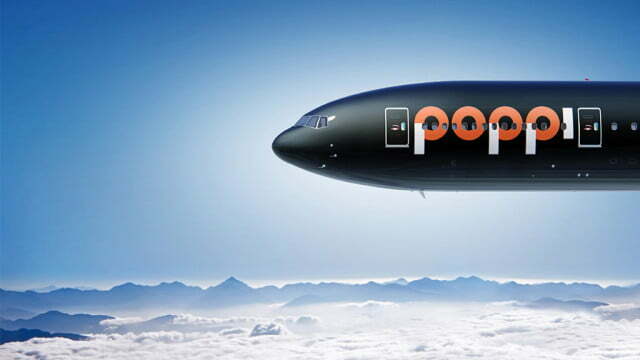 While airlines are creating cabin fares with rigid policies, Poppi has taken a page from tech companies like StubHub. You may not be able to get a refund, but what if you could list your flight on a marketplace and resell it? 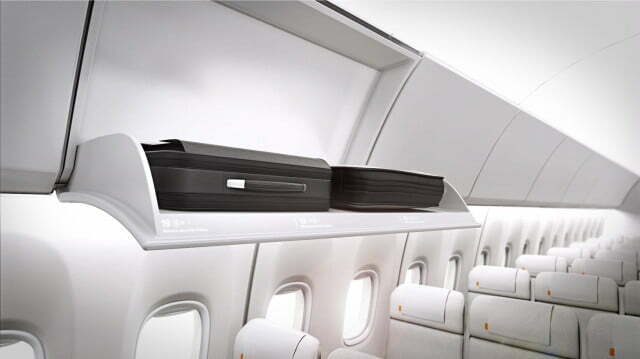 Or trade your prized middle seat with someone who has a window seat, so you can get some sleep? Poppi’s approach demonstrates that you can still run a lean and very profitable business model without entrapping your passengers. Membership programs like Starbucks Rewards and Amazon Prime have shown that companies can keep customers coming back simply by offering discounts and freebies to those who spend more, while adding significant profit. Current frequent-flier programs make it difficult to attain elite status, and the rewards they offer get slimmer every year. Poppi’s approach makes everyone an important member of a community (similar to what JetBlue and Virgin America do), allowing loyal fliers to pre-pay for flights and services similar to Starbucks Rewards, while rewarding them with tangible incentives – not miles that you can never redeem. 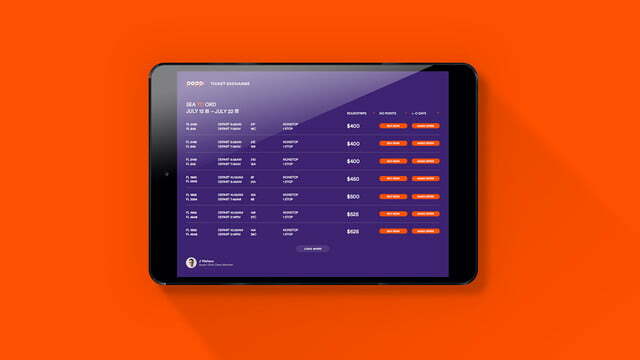 Instead of waiting for gate agents to announce status or boarding, Poppi relies on a system that delivers real-time information to displays and mobile devices. When it’s your time to board, your smartphone or smartwatch pings you, so you don’t have to wait around the gate to hear if your row is boarding. With clear info on exactly who can board, Poppi also eliminates “gate lurking” – slyly boarding with a group that you don’t belong in. 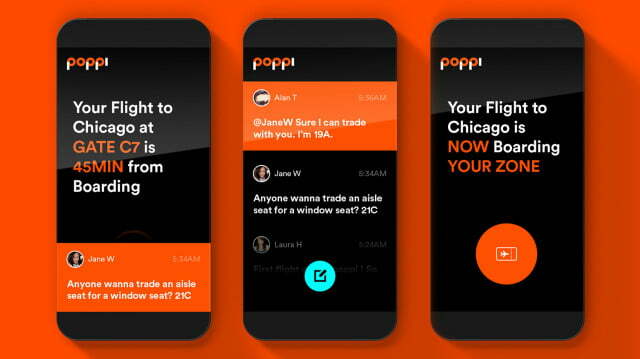 There’s also a social networking aspect to Poppi’s app: You may see notes from fellow passengers who are requesting to trade seats. 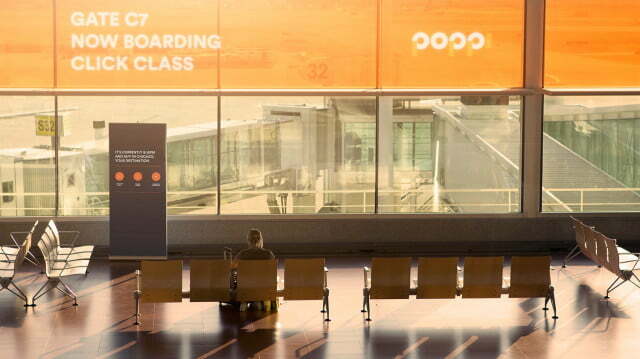 Rather than dividing a plane based on price and elitism, Poppi’s classes are based on what passengers’ interests. For example, partnering with film studios, a “cinema class” would show exclusive movies, TV shows, or other content to those paying passengers. A hip and successful branding can do wonders for an airline (see JetBlue, Virgin). Poppi’s check-in counters, gate areas, mobile app, stationery, plates, and even merchandise are well designed, so much so that you’ll want to steal some to use at home. Its planes are also painted all-black, so there’s no misidentifying who you’re flying. We think Air New Zealand’s all-black planes are stunning, and it works here. 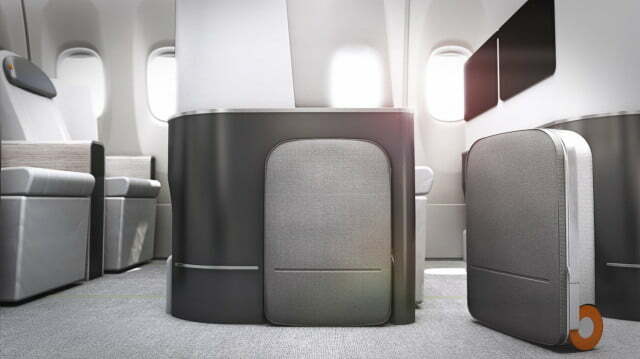 For its larger Boeing 777 planes, Poppi has reinvented business travel with the “click class.” Here, travelers would be able to bring on a custom-designed luggage that clicks into the seat. 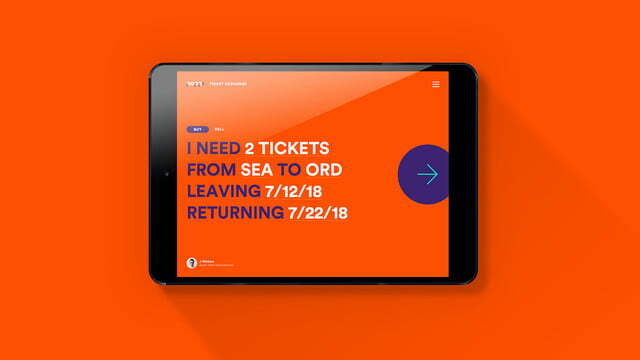 The idea here is that the business traveler needs to be on the move quickly, so she doesn’t need to wait for luggage, and can be easily stowed while onboard. 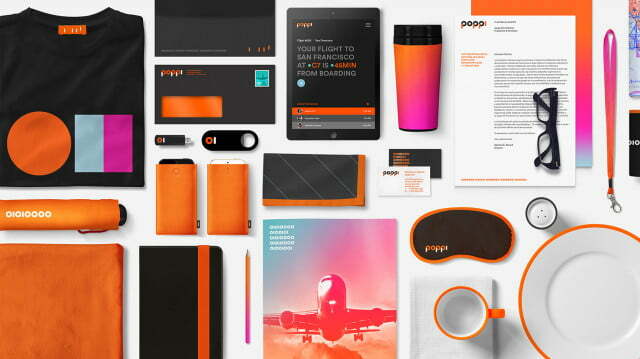 Another added-value service Poppi offers is luggage delivery for its premium passengers.